Civilization VI’s next expansion, Gathering Storm, is out in just nine days’ time. We’ve had a chance to play the full game, to go beyond the reveal trailers, and dig into the new civs. 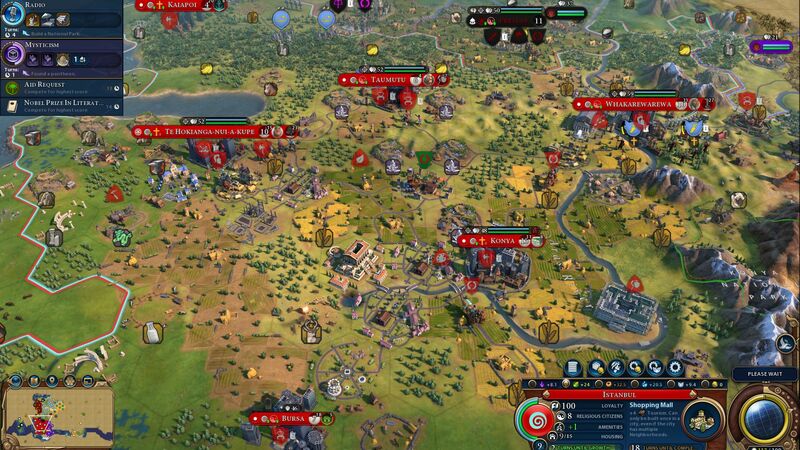 To help you make the most of what Firaxis is calling the biggest expansion Civ has ever had, we’ll present our findings in a series of detailed yet digestible guides. 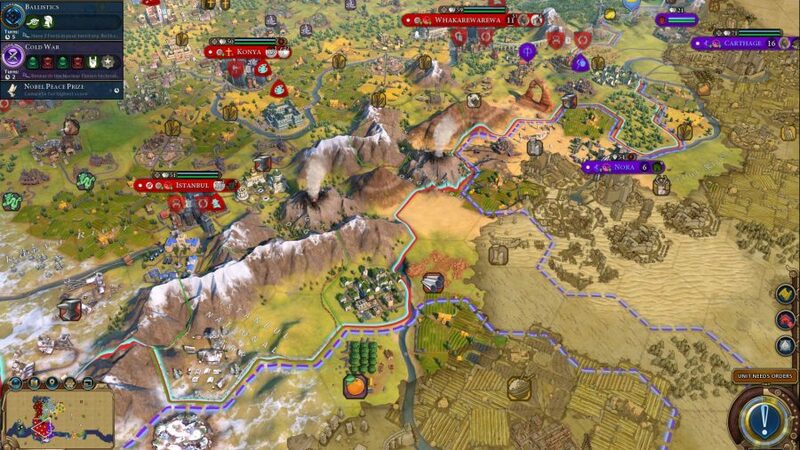 We’ll give an overview of each civ and its unique traits, followed by a practical guide to making the most of them. 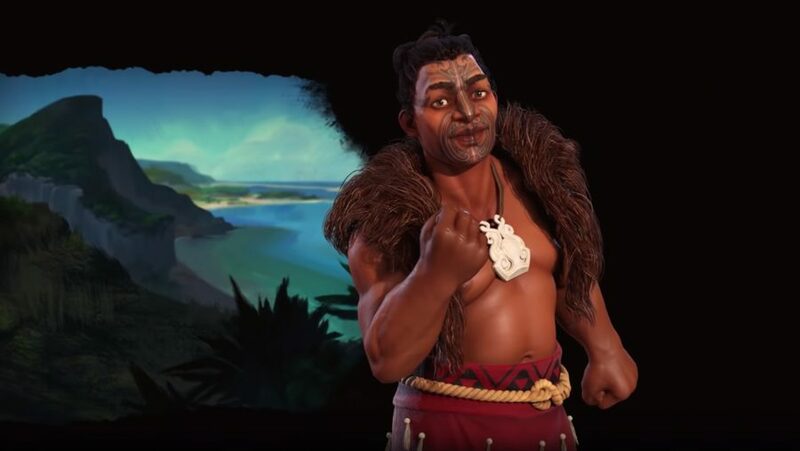 If you’re a builder, you can check out last week’s Civ 6 Inca guide, but today we’re focusing on someone who likes to adapt to the natural world, rather than impose his will upon it: Kupe, of the Maori. The Maori are weird. They’re conservationists in a genre named for its four ‘exes’, one of which is ‘exploit’. And yet the more things change, the more they stay the same: just as others want a lot of land to exploit, the Maori want a lot of land to conserve, and that means expansion. Thus we found that playing as them can be as violent an experience as any other in Civ. Leader: Kupe. Starts in an ocean tile with his Kupe’s Voyage ability. Gets a free builder and +1 population when settling his first city, and earns +2 science and +2 culture per turn until he does so. His Palace grants +3 housing and +1 amenity. Unique Ability: Mana. Begins with Sailing and Shipbuilding techs, plus the ability to enter ocean. Embarked units get +5 strength and +2 movement. Unimproved woods and rainforest give +1 production (+2 with Conservation civic). Fishing boats give +1 food and claim adjacent tiles. Resources cannot be harvested. Cannot earn Great Writers. Unique Building: Marae. Replaces Amphitheatre. All tiles in local city with passable terrain features (woods, rainforest, marsh, oasis, etc) give +2 culture and +2 faith, and +2 tourism once Flight is researched. Costs no maintenance. Has no Great Work slots. Unique Unit: Toa. Replaces the Swordsman. More expensive to produce (120 vs. 90), but is slightly stronger (40 vs. 36) and costs no Iron. Adjacent enemies get -5 combat strength. Can build a Pā. Unique Improvement: Pā. A fort that can only be built by Toas, and only on hills. Occupying unit gets +4 defence strength and two turns’ worth of fortification. A Maori unit in a Pā heals, even if it just moved or attacked. Agendas: Ocean start. As an AI, Kupe’s agenda is Kaitiakitanga: he respects the environment and likes leaders who do the same. This means not removing features, minimising carbon emissions, planting woods, and founding national parks. Territory is key to the Maori’s unique cultural victory. The tourism you’ll get from terrain features through the Marae synergises nicely with your production bonus from woods and rainforests, and with national parks. This is also why you’re not as strong on archipelagos as you might think – tiny islands don’t have enough land for the trees or terrain features that the Maori need. Use the Kupe’s Voyage ability to find a place to settle with lots of those resources, but don’t wait too long – you want to start expanding quickly, and ideally get into the race for a religion. A monument and theatre square are obvious early priorities, but so are domestic trade routes, allowing you to pump up your first few cities (you already have one of the prerequisite techs for Celestial Navigation, which lets you set up Harbours). You need lots of population to work all the land you’re trying to acquire, especially since even with your production bonus, rainforests won’t be as productive as mines, and nor will woods unless they’re on hills. Thus you should fill any empty flat land with farms and empty hills with mines, just as you would with any other civ. With a decent population, your early production output can be surprisingly robust, so if there’s anyone near you, don’t be shy about kicking off – remember, you need land. The Toa is an excellent unique unit that you can field in numbers since it doesn’t need Iron, and it comes on-stream at an ideal time for an early war. You should expect to be targeted by a couple of military emergencies as you complete your conquests, so don’t demilitarise, and set up a few Pās at your borders (Pās are great). Your ability to generate and store Great Works is severely hampered. With the Marae replacing the Amphitheatre, you have no Great Work slots at all (except at the Palace) until the Renaissance, when Humanism unlocks the art and archaeology museums. Even nabbing the Great Library does you little good, since its slots are for writing, and you can’t get writers. However, there are two upgrades which turn you from a footnote in the cultural victory race into a powerhouse. They are Flight and Conservation, and the sooner you can unlock them and get in the game, the better. If you’ve left those terrain features intact, Flight should release an absolute tidal wave of tourism from your Maraes. It’s important enough that science is a higher priority than you might think – you’ll want at least a couple of Campuses. Once Flight is done it’s worth beelining to Radio (for Seaside Resorts) and Steel (for the Eiffel Tower), which come soon after. On the cultural side, Conservation lets you establish national parks, and given how much culture you’ll be pumping out, it’s probably the first serious source of tourism you’ll access. Note that only naturalists can establish parks, and remember that you’ll also want a few rock bands, for they are the cultural equivalent of a nuke, and an essential tool to crack the last bastions against your passive tourism. Both these units are purchased with Faith, so you’ll need a lot of that on top of everything else. Your Maraes are a big help in this regard, but as ever when shooting for a cultural victory, there’s no such thing as too many rock bands (|m|) or national parks. You’ll want several Holy Sites, and it’s best to set them up early and aim to found a religion yourself, as religious tourism can give you another huge push. Pick the Reliquaries belief and shoot for St. Basil’s Cathedral. It makes sense to shoot for Wonders that can store Great Works you can actually make, such as the Hermitage, Sydney Opera House, and so on. Less obviously, don’t forget Chichen Itza for its culture and production boost in rainforests, or the Eiffel Tower – its boost to all your tiles’ appeal means more seaside resorts and national parks, so it’s damn near essential for the Maori. If your early game has been peaceful, it’s also worth taking a punt at the Oracle. 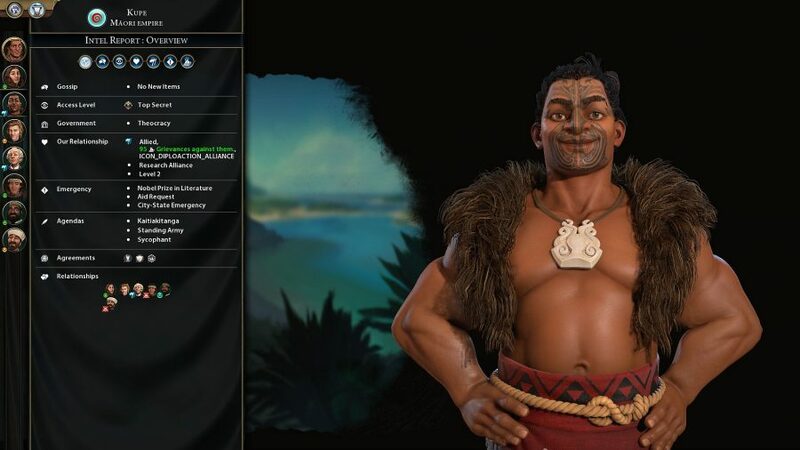 Overall, the Maori are a fun, slightly tricky spin on the cultural victory, but everything should fall into place once you have enough land and citizens to work it. After that, the usual cultural victory tips apply – the lack of an Amphitheatre and Great Writers is a speed bump for which the Marae more than compensates.